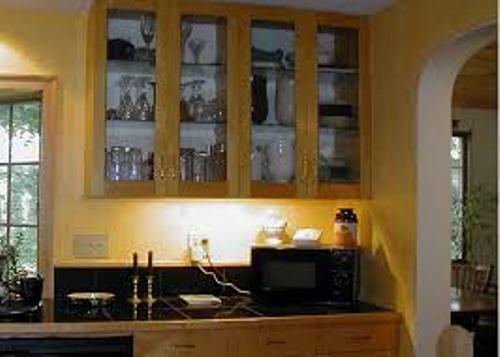 If the kitchen is filled with a lot of natural lighting, you can use the leaded glass or stained glass cabinet doors. The cabinet doors will look sparkling when the sunlight touches the doors’ surface. When the evening comes, you can add drama due to the interesting effect on the stained glass doors. This leaded glass door is very common to spot inside the old world type’s kitchen decoration like cottage kitchen, Tuscan and country kitchen design. If you have a traditional kitchen design and you want to make the glass doors impressive, you can add windowpanes. Use the mullion technique to divide the windowpanes. The front part of the glass door can be decorated with ornate and charming molding. You can attach it by using the double sided tape or adhesive. When you shop for the molding on the stores, pick the durable one. It can be made of PVC material. If you have dark wooden cabinet inside the modern kitchen, you can make it look sophisticated by adding frosted glass decoration. It will be obscure for the people to spot the items inside the cooking cabinet since you install the front’s window films. 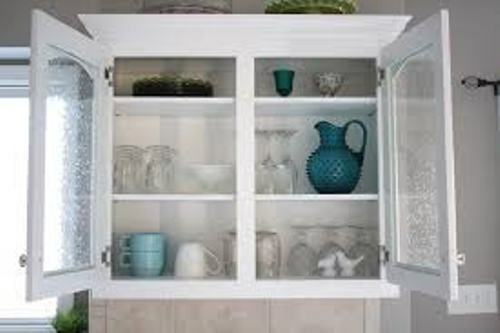 You will never find any mess on the cabinet door for the frosted glass door can evoke the nice illusion of etching. 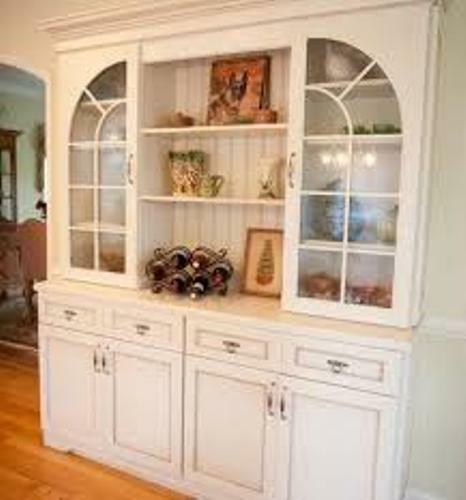 If you have an old glass fronted cabinet, you can make it new with gathered fabric lining. You can use the sheer fabric to evoke the country or French detail. 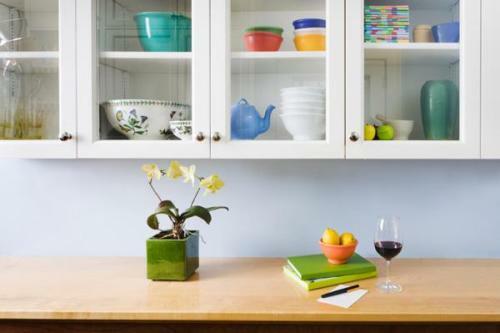 Find ideas on how to decorate above kitchen cabinet here. If you want the most inexpensive way to decorate the glass door cabinet, use the handmade paper lining. The design reminds you with the shoji screen door on the cabinet. 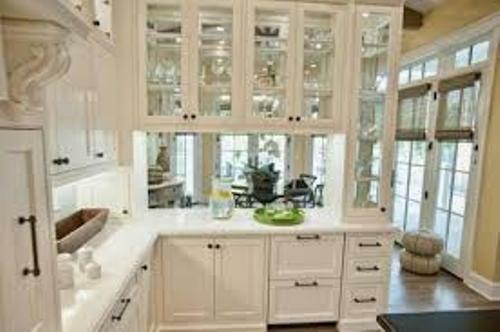 Are you interested using the ways on how to decorate kitchen cabinets with glass doors? If you need the ideas on how to clean frying pan bottoms, why don’t you check the following explanation?